"Any intelligent fool can make things bigger, more complex, and more violent. It takes a touch of genius, and a lot of courage, to move in the opposite direction." Lee is one of the founders of the Sunrise EV2 Project, and the chief financier and cat herder at the moment. He's an electrical engineer, with a BSEE from Michigan Tech University in 1973. In real life, he spent his career designing products at Eastman Kodak, Robertshaw Controls, and Honeywell. 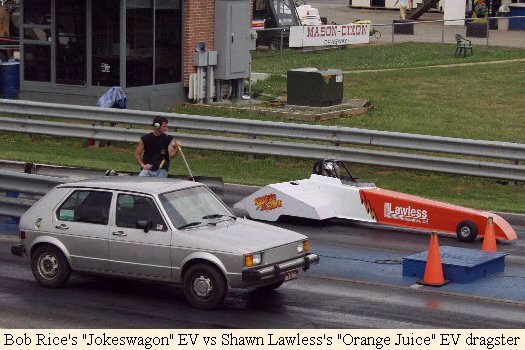 But electric vehicles has always been his hobby and passion. He's been messing about with EVs since the 1970s (and even earlier if you count slot cars, electric trains and sidewalk scooters). He has built many EVs myself, helped hundreds of people build theirs, and posted thousands of emails on the various EV discussion lists. He received the Fellow award of the EAA in 2007. If you hunt around the internet for EV information, you're sure to run across him! He built his first "serious" EV after the 1973 Arab Oil Embargo. Disappointed with the meager EV offerings at the time, he decided to convert a Datsun pickup truck as a test case. He used an aircraft surplus generator as the motor, a dozen golf cart batteries in the bed, and a home-made contactor controller and charger. It was crude -- but it worked! He learned a lot about EVs (by trial and error) from that first attempt. 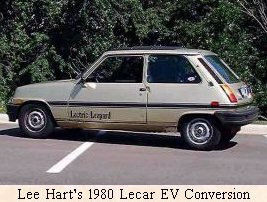 The second EV was built in 1978, and more ambitious. 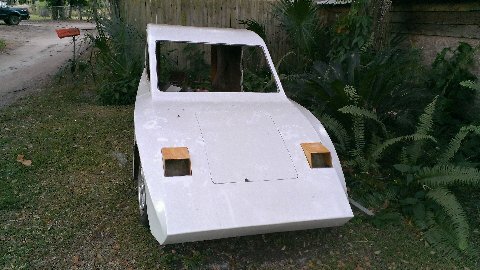 He bought an unfinished prototype EV mail truck from Electric Vehicle Engineering in Bedford MA. It became a test bed to try out various motors, controllers, and battery arrangements. 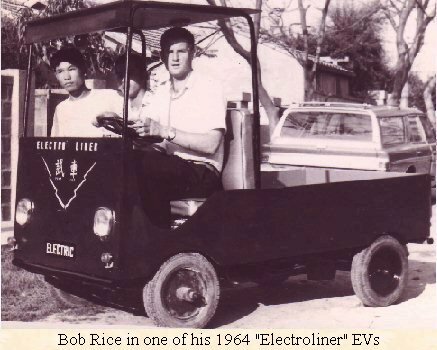 Bob Rice is a true EV pioneer. He's been building vehicles literally since he was a kid (the Youtube video shows him at 12 in his homemade motorized car). 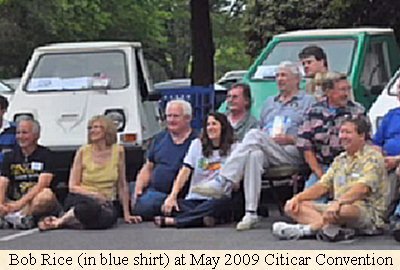 The Sebring Vanguard CitiCar is one of his most famous designs. 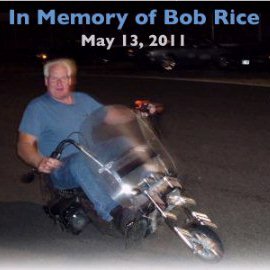 It epitomizes Bob's zeal for simple, inexpensive, straightforward "Git 'er done!" designs. Until Tesla, more Citicars were sold than any other EV in the past 40 years! He built innumerable EVs, both for himself and hundreds of others. 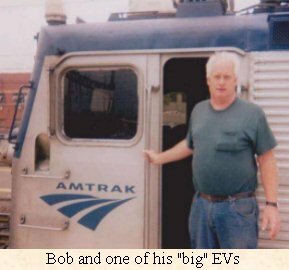 He's worked for many EV pioneers, including Bob Beaumont and Bob Aronson, and trained engineers who went on to work for GM on the EV1 and for Tesla. He was given a lifetime achievement award by the NEEAA in 2009. Just about everyone in the business knows Bob! 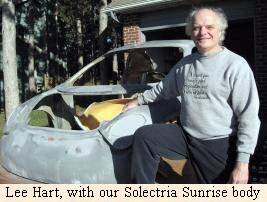 Bob started the Sunrise Project by recruiting a ragtag bunch of EV hobbyists to pool their money and buy the last remaining Sunrise when Solectria closed its doors. His dream was to turn the design into a affordable electric kit car that anyone could build. 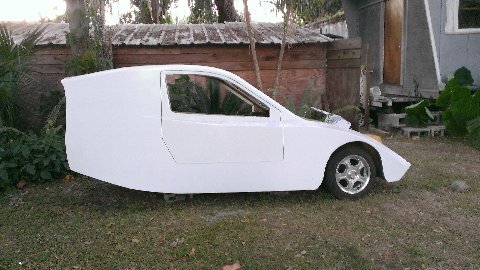 Jerry's white 3-wheel "Freedom EV" Prototype, and his latest woody "Streamliner EV" pickup prototype. Jerry Dycus is an engineer in the Edisonian tradition, and a master of the KISS school of design (Keep It Simple, Stupid). His vehicles tend to reflect his nautical sensibilities and frugal nature. He has an enormous amount of experience with composites and wood. Nobody can build a vehicle cheaper than Jerry! He is one of the founders of the Sunrise EV2 project. He and Bob Rice picked up the prototype from James Worden, and Jerry had it at his place in Florida for the initial work. He's a fan of 3-wheel vehicles. 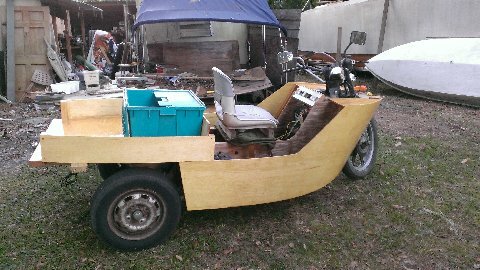 His "Freedom" EV is designed as a very simple and inexpensive homebuilt vehicle. It's a 2-seater, and is patterned after his impressively simple "Lumberghini" as Bob Rice christened it. 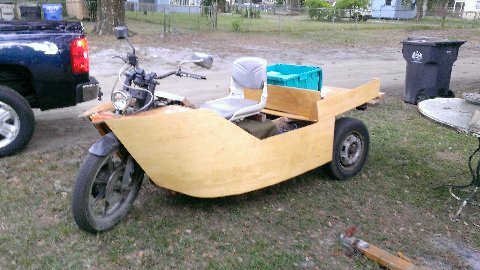 His current "Streamliner" project harkens back to that earlier successful wooden EV. The Sunrise EV2 Project, © 2007-2014 by Lee A. Hart. Created 11/15/2014. Last update 11/18/2014.